The original way I learned to make hide glue was to use a ceramic cup in a double boiler. 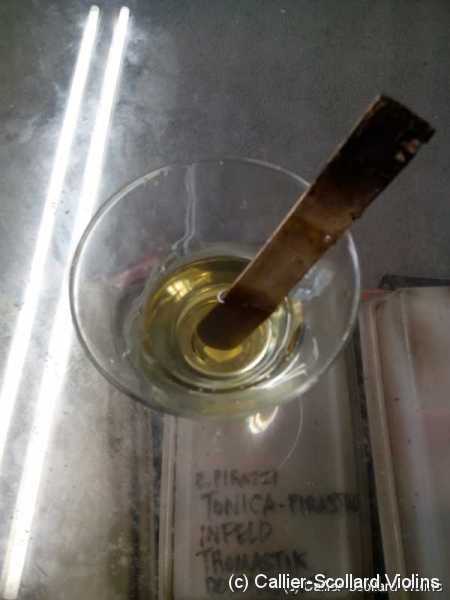 After making hide glue for 40 years, this is the method I found that woks the best. 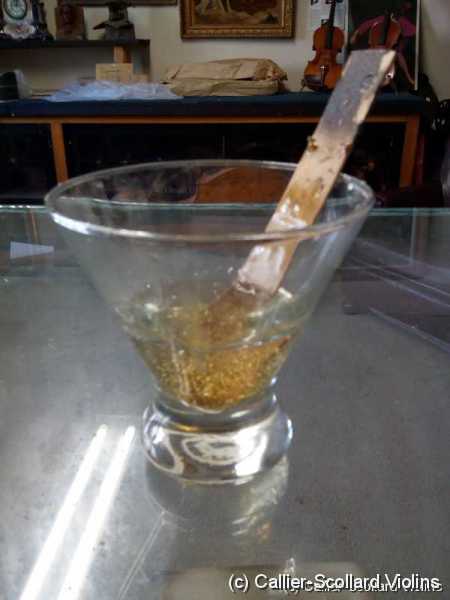 Meaning the glue is very strong and stays very light in color, almost transparent. I like using a glass container like the one pictured below. 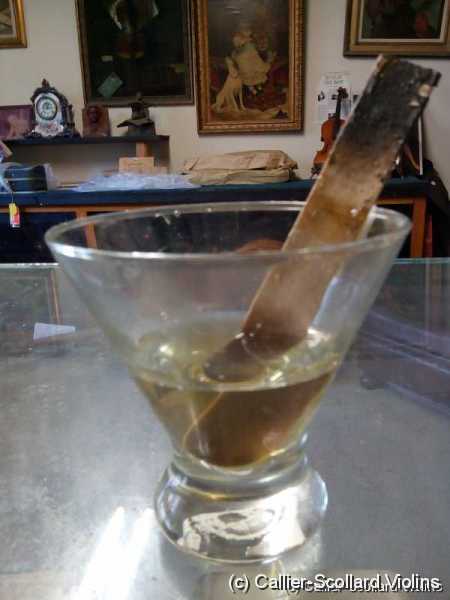 The reason is because the glass does not degrade over time like ceramic and the shape below works best because as you use the glue the surface area of the top of the glue diminishes as the glue is being used, so the glue can be reheated over and over again until it's empty. 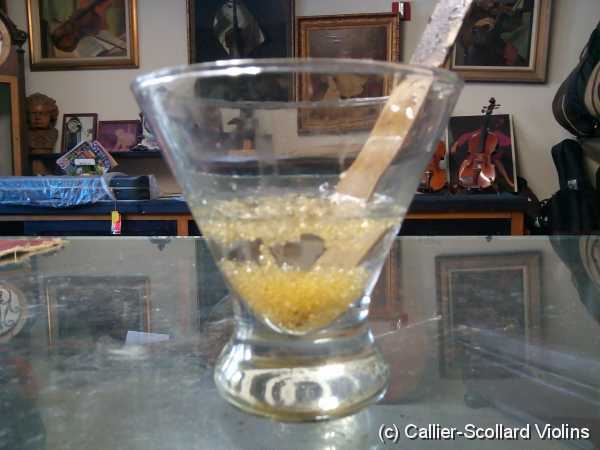 Each batch of glue is slightly different so you need to vary the mixture a little depending on the glue. First measure out the water, 37ml at room temperature. Then add the glue into the water 7 grams. Let it sit overnight. Then in the morning the glue will have expanded. If it's much taller than the original water level, add just a little more water. Next heat the glue in a microwave at a very low setting, something like 20% for 2 minutes. Then check the glue and stir, then reheat until very hot. Then place the glue into a refrigerator and let cool. Once it's cooled down it should be very firm to the touch. Then put just a little bit of water to cover the surface of the glue. Heat up again and it's ready to use. Overheating the glue will make it dark, so you just want it hot enough to use. Keeping the glue in the refrigerator will make the glue last much longer.